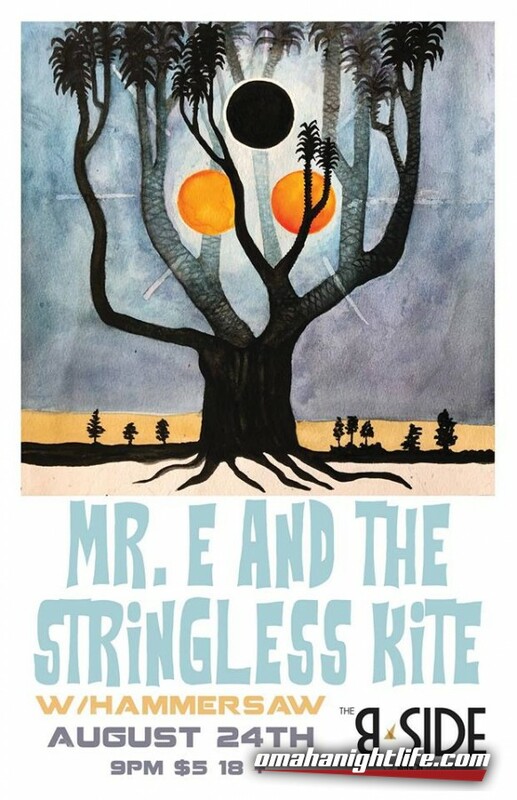 Mr. E & the Stringless Kite (Omaha, NE) can be best described as ethereal, progressive folk rock: with lush harmonies, occasional improvisation, and intricate instrumental arrangements. Started in January, they are one of Omaha's quickest rising new bands, and are releasing their debut album "Seeds" July 6th. 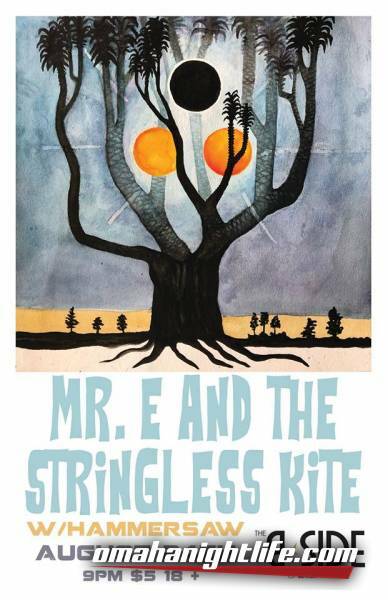 Hammersaw (Lincoln, NE) is a Bluegrass-style band that derives influences from many genres. What began as two guys jamming in backyards and porches, by the end of 2016, Hammersaw has become a collaborative effort of five fools full of ambition.